Yesterday, VEX teams 254B, 254D, 254E, 254F, 254G, & 254H attended the Tracy Triangle VEX Tournament. 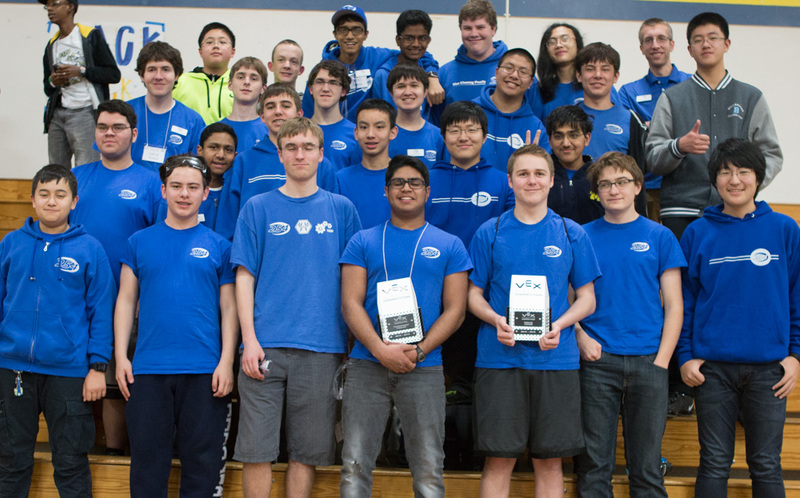 With over 80 teams, this was the largest VEX tournament our teams attended this season. Team 254E lines up their robot. 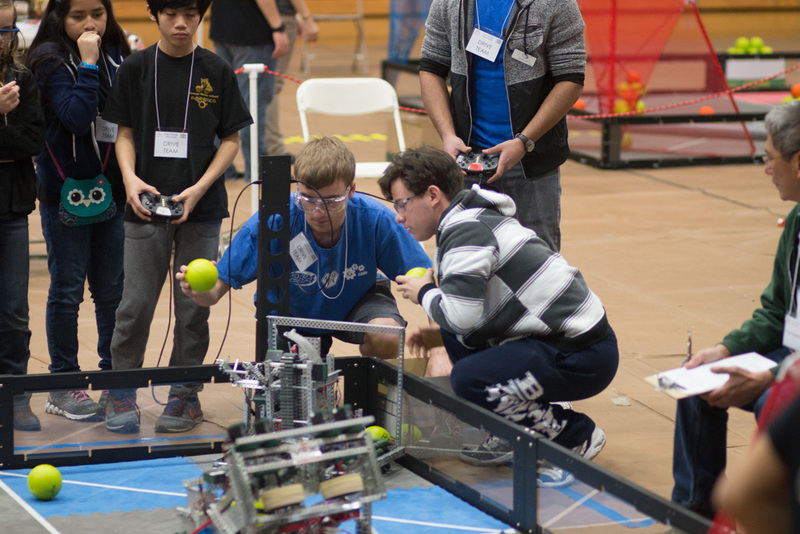 Throughout the tournament, all 254 teams performed very well. 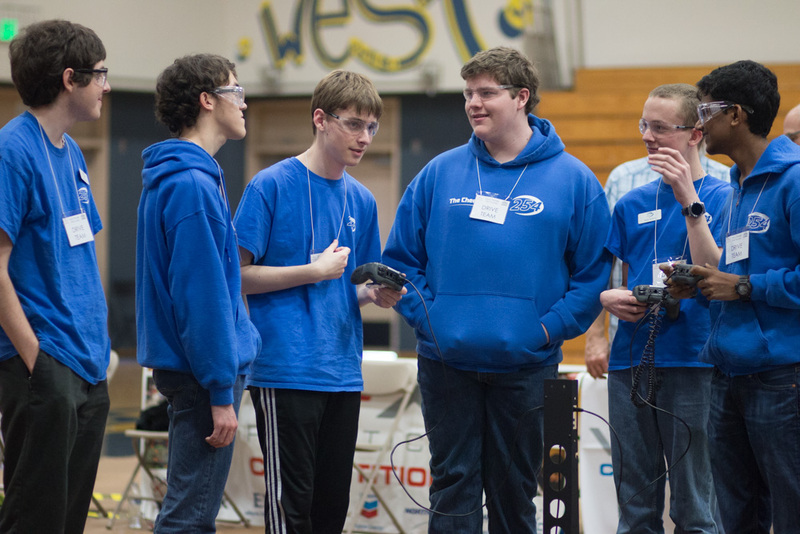 By the end of the qualification matches, 254B had gone undefeated and ranked 3rd out of all teams. During alliance selection 254B invited 254F & 4768C to join their alliance.  Additionally, 254H joined an alliance with 4768B and 4768. 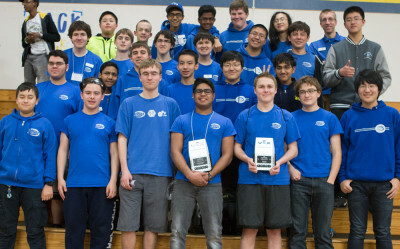 254E also joined an alliance with 5772 and 5327C. 254F discussing strategy with 254G. Unfortunately, teams 254B, 254F, & 254H were eliminated during quarterfinals. 254E made it through several challenging elimination matches, but ultimately lost in their 3rd final match by a small margin. Students pose for a team picture. At the end of the tournament, 254H was awarded the Create Award for their robot design. Congratulations to the tournament champions 5776T, 8000B, & 8000D.